North Carolina's official entrance into the Civil War took place on the floor of the Commons Hall in the Capitol. A special convention called in May 1861 responded with an Ordinance of Secession effectively withdrawing North Carolina from the Union and casting her lot with the newly formed Confederate States of America. 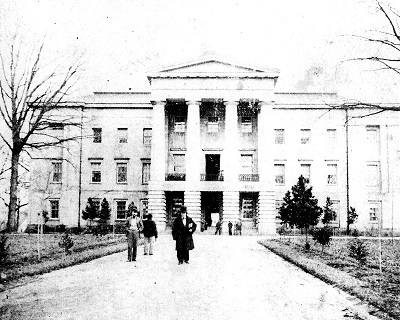 During the war, the Capitol was the center of political activity and military command for the administration of NC Governor Zebulon Vance. The building was used as a supply depot and the ladies of the town met in the rotunda to fashion uniforms, haversacks, and bandages. Confederate troops were brought to the capital city for training and then sent to the front lines. On April 13, 1865, however, Raleigh and the Capitol began to experience the war firsthand as Gen. William T. Sherman's army, led by Judson Kilpatrick's Third Cavalry Division, marched into town, beginning the occupation of the city by the Federal Army. The fall of Raleigh to Union forces in April 1865 cemented the fate of the state, and only a few days later, the remainder of Confederate military forces surrendered to General Sherman at the Bennett farmhouse near present day Durham. The Capitol itself was spared the total destruction that had befallen the old statehouse in Columbia, South Carolina. Before retreating westward, Governor Vance sent a peace delegation, led by former governors David L. Swain and William A. Graham, to Sherman asking that the Capitol, with its library and museum, be spared. As a result, the Capitol suffered little damage. Upon entering the building, however, Federal soldiers discovered several of the museum cases broken open, strewn documents and maps in the legislative chambers, and an inkwell overturned on a marble bust of John C. Calhoun (now in the N.C. Museum of Art's collection) in the Senate Chamber. Also discovered were lenses and mechanisms from several coastal lighthouses stored in the upper rotunda, as well as captured Union flags suspended from the galleries in the House and Senate Chambers. The state's official copy of the Bill of Rights was stolen by an Ohio soldier. Following the war’s end, previously enslaved individuals were emancipated in the southern states. 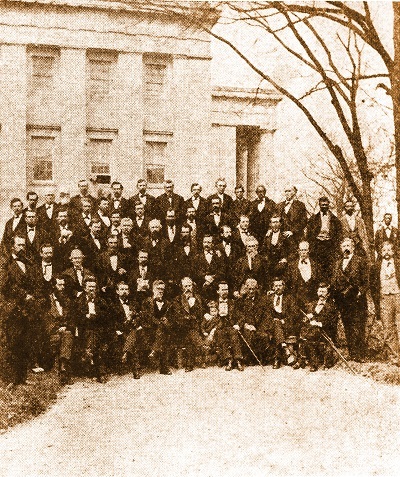 Beginning in 1868, North Carolinians elected African American men to the General Assembly for the first time. Over the next 30 years, 25 won seats in the state Senate and nearly 100 in the state House. These men supported more funding for public education, biracial charitable institutions, and a statewide railroad. Ultimately, they were unsuccessful in achieving many of their progressive goals. As opposition grew, their rivals resorted to intimidation and violence to frighten voters from the polls. With the end of Reconstruction in 1877, conservative Democrats began chipping away at the laws granting rights to African Americans. 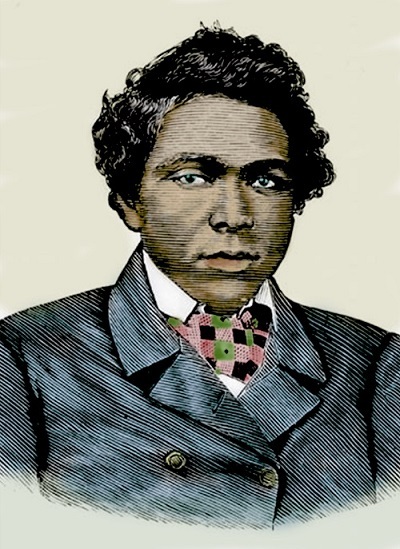 By 1900, black North Carolinians were outlawed from serving in the General Assembly or voting in general elections.